In the market for a pair of headphones? 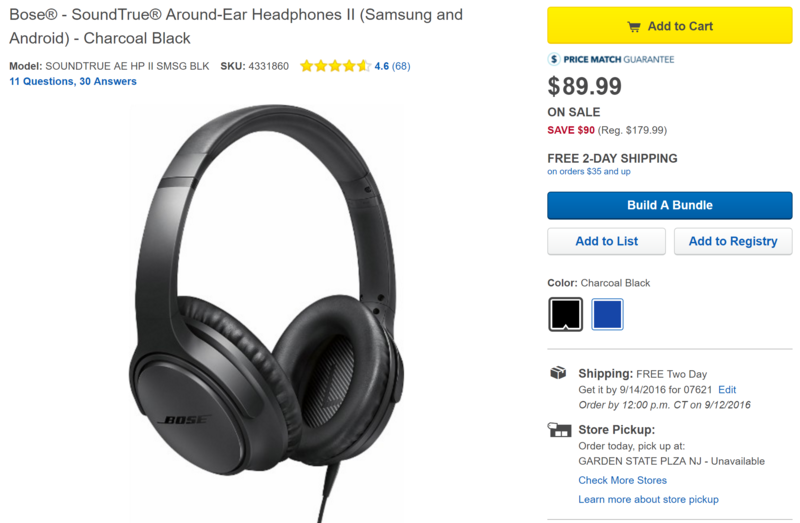 If so, you should check these Bose SoundTrue Around-Ear Headphones II out. Currently, Best Buy has them for just $89.99 - that's $90 off MSRP (50% off) and nearly $60 cheaper than Amazon's price. In addition, this price is actually cheaper than it was during Amazon's Prime Day, which was $99.99. This is a steal.